gas to the heat capacity is negligible except at very low temperature. The various models are shown graphically in Figure 13-05b1. (~ 6x1023 particles in 1 atomic weight of the substance / mole = NA = Avogadro's number). 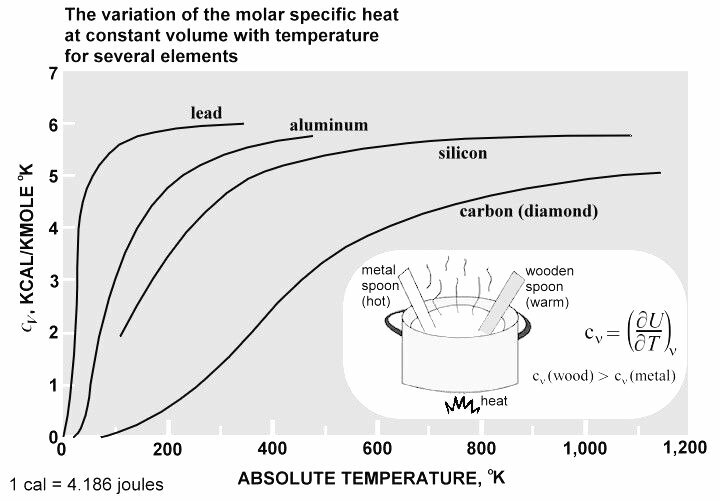 Figure 13-05b2 lists the specific and molar heat for some selected substances. The conversion from J/g-K to J/mole-K is by multiplying the atomic weight. 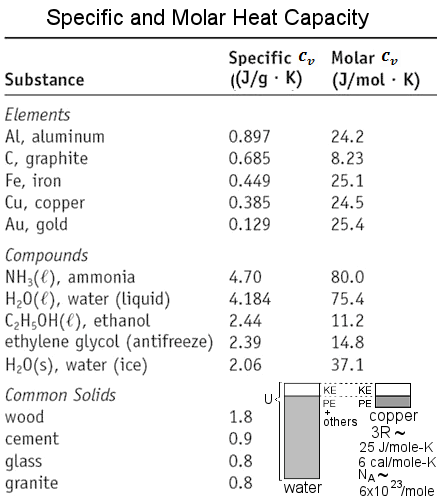 It leads to some curious situations that the relative amount is reversed after the conversion, (e.g.. graphite has higher value of specific heat than gold, but it is the opposed in molar heat because the latter has higher atomic weight). Since the hot or warm sensation is related to the temperature sensors on our skin, thus we would feel cooler for substance with high heat capacity from same amount of heat input (see insert in Figure 13-05a2). dQ = dU + dW . These simple formulas have only limited applications to most metals and mono-atomic gases. 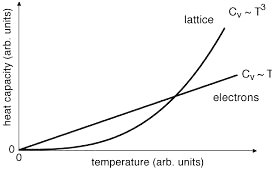 Other substances have more complicated structure with internal energy stores in other forms (such as rotation and by large number of constituent atoms), which do not contribute to the raise of temperature, and thus would have large value of heat capacity. 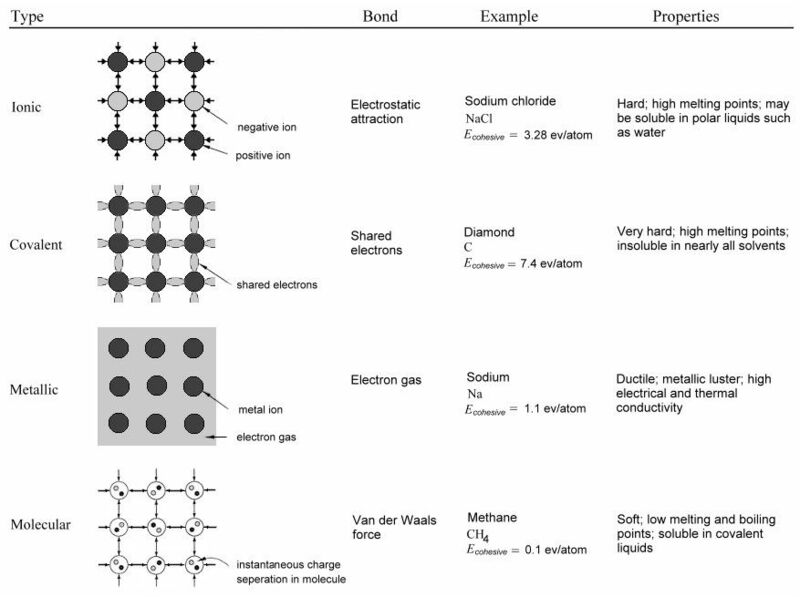 While some complex materials have relatively low heat capacity as the heat is stored independently by each atom, not by the bulk motion of the molecules (see Figure 13-05b2). 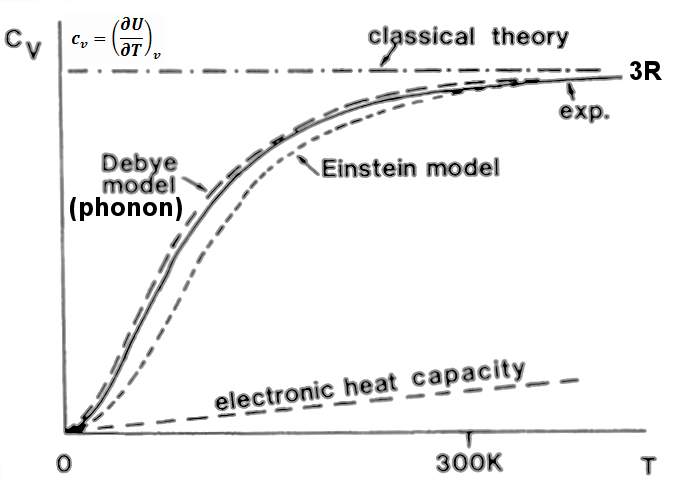 This model cannot explain the behavior at low temperature. One of the attempts to resolve the problem is by using the quantized energy as shown presently. 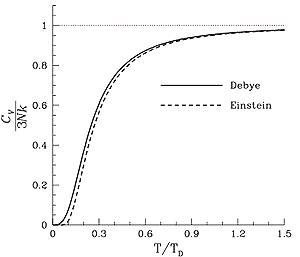 See Figure 13-05b1 for comparison with experimental data. See Figure 13-05b4 to compare.